Baghdad and Tehran don’t like it, and neither do some radical imams. But generally, Kurds are happy with the new Jewish representative in their Ministry of Religion. 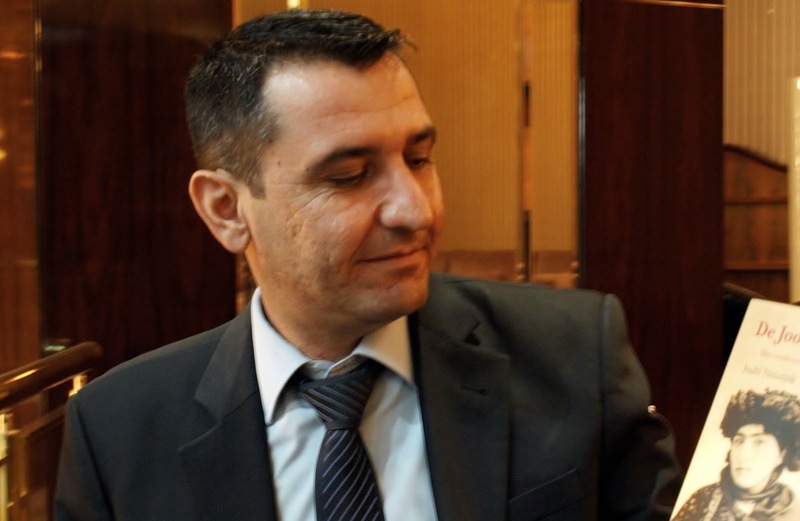 Sherzad Omer Mamsani (39) was appointed to lead one of the seven new directorates for minority religions in Kurdistan, set up as a result of a law adopted in the Kurdistan Parliament in May. Next to the Jews, the Yezidis, Sabai, Mandaeans, Baha’i and Zoroaster have their own directorate. It is not a political post, Mamsani stresses, during an interview in the Kurdistan capital Erbil. In this city he grew up as a so called Benjew – Kurdish for someone with Jewish roots – and he even still speaks some of the old Aramean language of the Jews of Kurdistan. 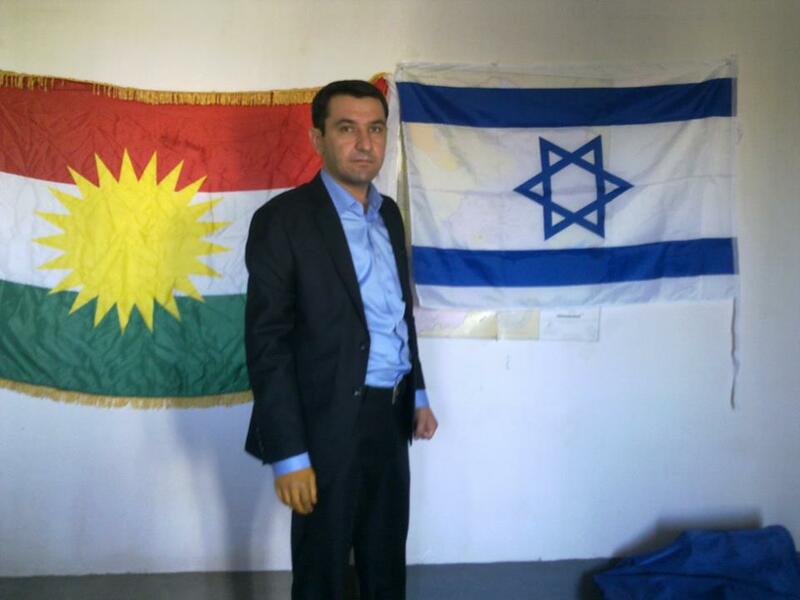 Mamsani will work from his government position for all Jewish Kurds, both in Kurdistan and in Israel. In Kurdistan some hundreds of families still hold on to their Jewish roots, mostly living in anonymity. Most of the around 150.000 Iraqi Jews left the country after the forming of the State of Israel at the start of the 50s. Those who stayed either converted to Islam, or left in the 70s, when the Iraqi dictator Saddam Hussein targeted the remaining Jewish community. Next to these Benjew families, he mentions some 400 families who had gone to Israel but returned to Kurdistan, partly because they did not want their women to serve in the Israeli army. Another issue to be solved involves the property Kurdish Jews who left in the fifties had to leave behind. Many houses, grounds and businesses have been taken over since, but in Erbil most of the houses in the former Jewish quarters still are owned by their original Jewish owners. The new director of Kurdish Jew Affairs is himself a symbol of the anti-Jewish sentiments that have long festered amongst Kurds, fed by their Arab rulers and Islam. When in 1997, during the Kurdish civil war, Mamsani published a book about the relation between the Kurds and Israel, radical Moslems became enraged. That led to an attack in which he lost his right hand. Still he did not give up his ideals. He has long been active to improve the ties between Kurds and Israelis, for instance by publishing the ‘Israel Kurd’-magazine and by leading a nongovernmental organisation under the same name. His appointment resulted from his own request to the Kurdistan government for an official bureau, to be able to better work for the cause. “Those behind the attack on me are now probably with daesh,” he says, using the local acronym for the Islamic terror group ISIS. He thinks that the atmosphere in Kurdistan towards Jews has changed because of the war the Kurds now fight against ISIS, distancing many from radical Islam. Negative reactions also came from the Iraqi government in Baghdad, that is not happy with the move but cannot do much against it, as the creation of these posts is within the rights of a federal state in Iraq. The Iranian consul even visited the Ministry of Religion to complain about the new representatives both for Jews and Baha’i, as the latter are seen in Iran as unbelievers. The appointment of Mamsani appears to be part of a development towards tighter relations between the Kurdistan Region and Israel, beyond the historical ties between the ruling Barzani-family and the Jewish state. Israeli leaders have openly shown support for the Kurdish struggle for an independent state, and according to press reports most of the oil Kurdistan exported this year has gone to Israel.